Looking for a consistent brand and identity for your website, blog, and social media?! 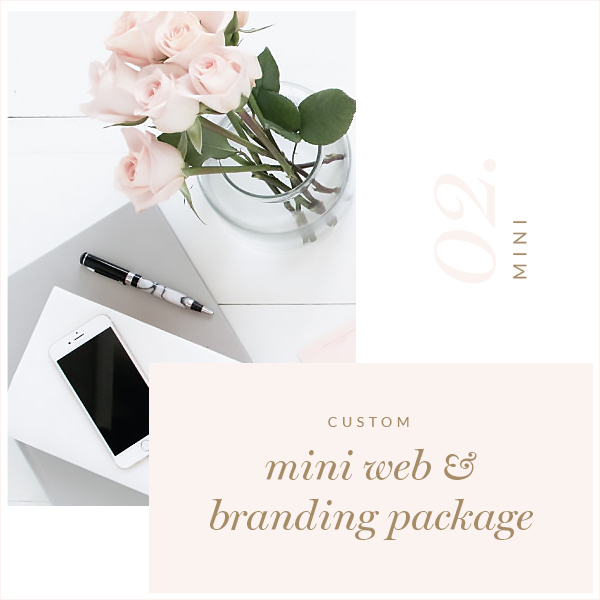 The mini package includes over 53 website and blog elements, a custom logo and submark, business cards, letterhead, and much more! Up to three primary logo revisions are also included, to ensure your primary logo design is perfect! PLEASE NOTE- this listing is for the design elements ONLY. There is no installation involved. Fonts are third party items and are not included. The font names and links on where to purchase/download are.